One of the responsibilities that comes with being a Farmington Valley homeowner is taking care of your roofing service needs. Your rooftop is the most important part of your home, so it makes sense to want to be sure that you get quality work. Not only that, you want to rest assured that you take care of the services you need in a prompt and professional manner. This is especially true if you need a roof replacement in Farmington Valley. Getting a new roof is a big deal, and you want to make sure you have a trustworthy roofer on your side to get the job done. By doing this, you will be able to feel good about extending the longevity and improving the performance. Another one of these tasks will be taking care of roof repair needs. This is something that should be done in a prompt and professional manner, or it could end up turning small repair needs into major roofing problems. One of the most common questions homeowners have about their roof is how they will know if they need just repairs, or if it is time for a complete roof replacement in Farmington Valley. This is a valid question since no one wants to pay for service they do not need. Knowing some of the tell-tale signs that you need a new roof will help you be a smart homeowner and a wise consumer. Age of the Roof – The average lifespan for an asphalt shingle roof is about two decades. If you are near or past that, it might make more sense to replace instead of repair. What is the point in paying for repairs if you are just going to need more repairs or replacement in a matter of time? Seeing Daylight Through Roof Boards – While a trained and experienced professional roofing contractor in Farmington Valley can spot many potential problems that you may not see, daylight is a tell-tale sign for anyone who looks at the roof. It usually starts with noticing that the roof actually feels spongy when you walk on it. But you don't have to walk on the roof to bypass this step and look in the attic and see if daylight is coming through the boards. Curling and Buckling – Again, even you can usually see the current condition of your own shingles. If you see curling, buckling and granule loss, it is time for replacing the shingles. If you are unsure, it is a good idea to let a pro take a look and give you a fair assessment. 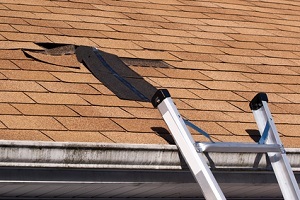 Valleys in Roofing – This is often the result of taking on heavy snow pileup in the winter. If you can see actual dips, valleys or sagging in parts of the roof, it is time to get a new one. Even if it seems in tact, the structural integrity has been compromised. While there are plenty of other examples of indicators that you probably need a new roof, these are some of the most common ones. The important thing is to act quickly in order to prevent bigger problems from developing. This means finding the right roofing contractor to handle the job for you. 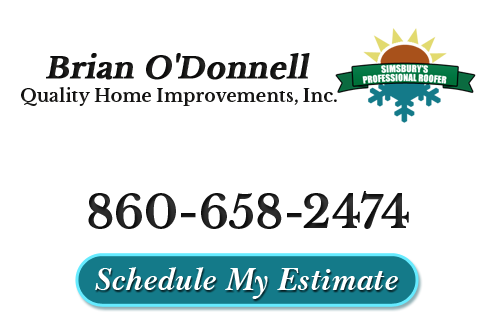 Brian O'Donnell Quality Home Improvements is the only name that you need to know in order to get the best in roofing services in Farmington Valley. We look forward to helping you understand the options that you have and making a choice that will best benefit you. Don't take chances when it comes to your roofing, let Brian who has been behind this business since 1978, provide you with the best service. If you think you need a roof replacement, call our Farmington Valley roofing contractors first to schedule a roof inspection. The results may surprise you - and save you a lot of money. If you are looking for a roofing contractor to complete repairs or a roof replacement in Farmington Valley, then please call 860-658-2474 or complete our online request form.